Remove the catalytic converter heated oxygen sensor - 1. Refer to Heated Oxygen Sensor Replacement - Sensor 1. 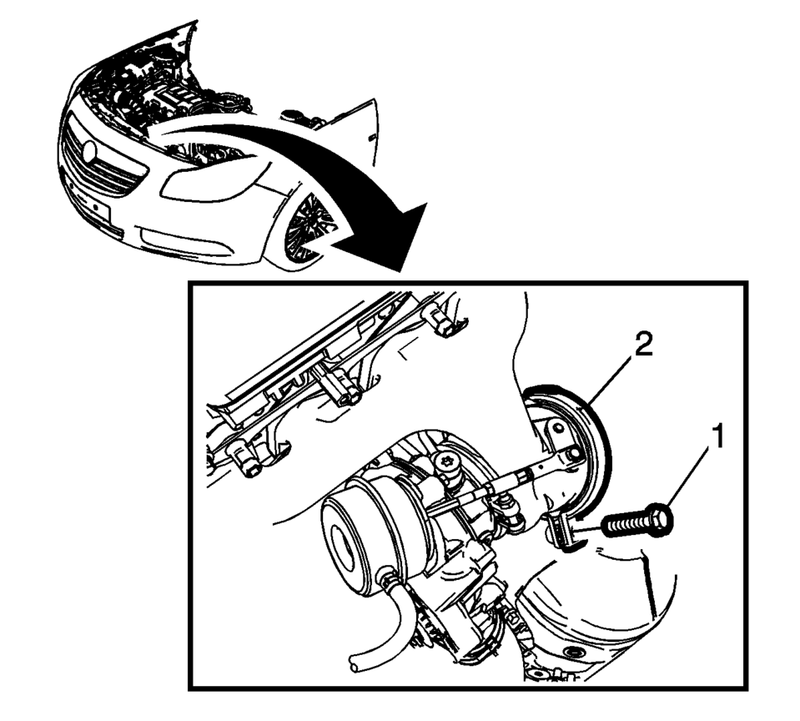 Remove the catalytic converter to the turbocharger clamp fastener (1) and discard the clamp (2). 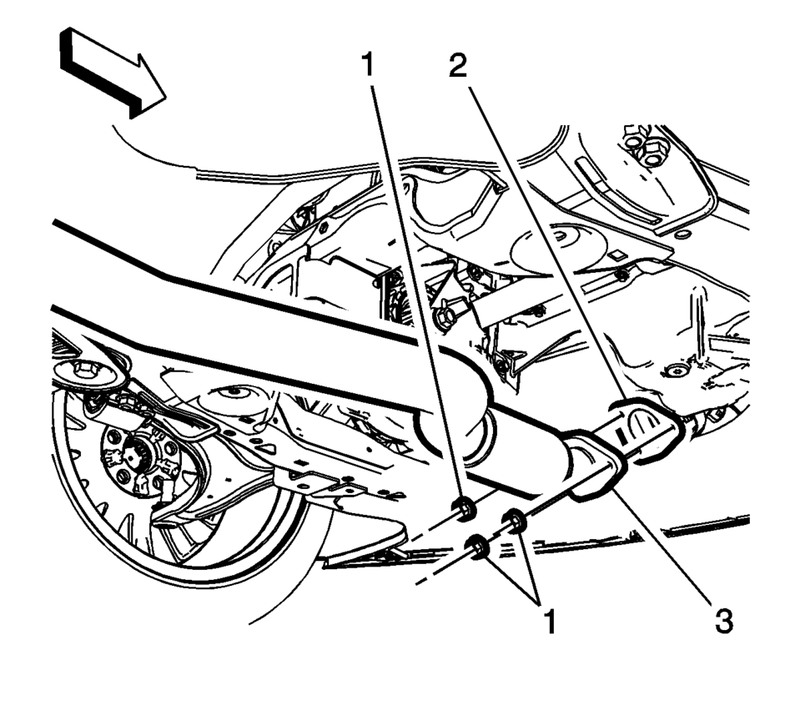 Remove the exhaust front pipe fasteners (1) and discard the exhaust gasket (2). 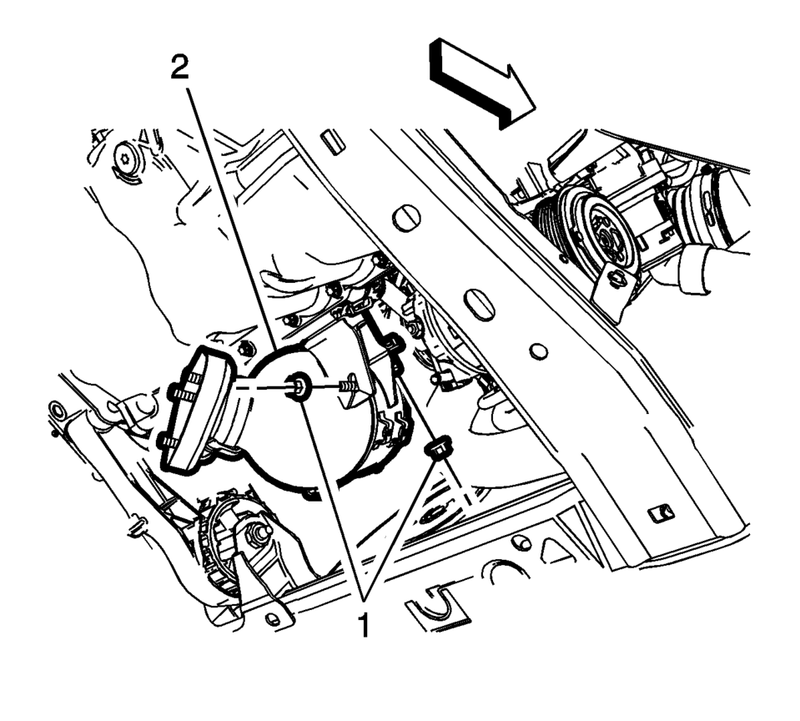 Remove the catalytic converter brace fasteners (1) from the catalytic converter brace (2). 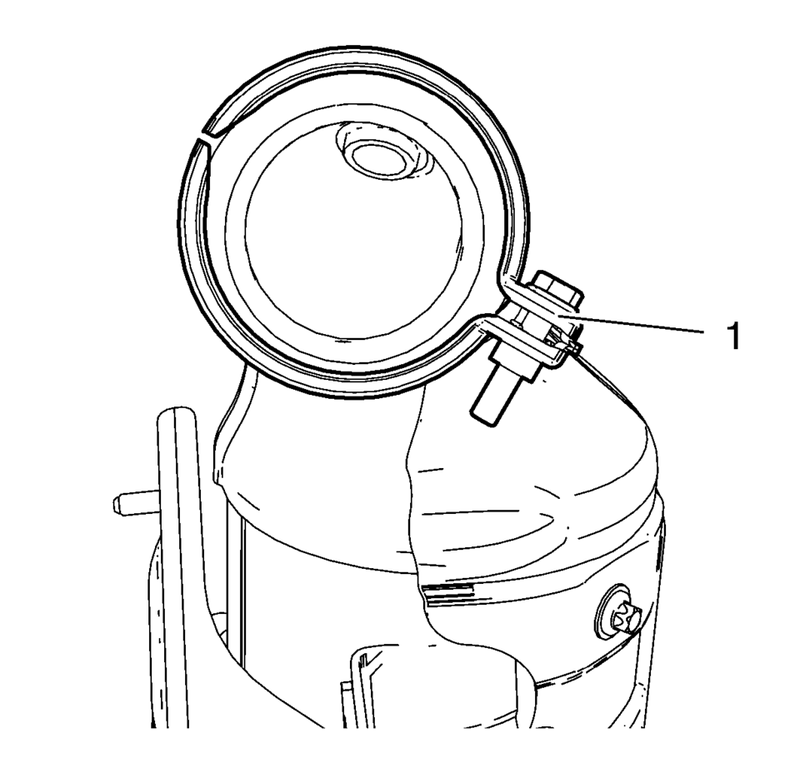 Install the catalytic converter into the catalytic converter brace (2) and loosely tighten the fasteners (1). Install a NEW clamp into the position shown and loosely tighten the clamp fastener (1). Install the catalytic converter heated oxygen sensor - 1. Refer to Heated Oxygen Sensor Replacement - Sensor 1.